You know how the mid-day coffee break is sometimes the highlight of your day? 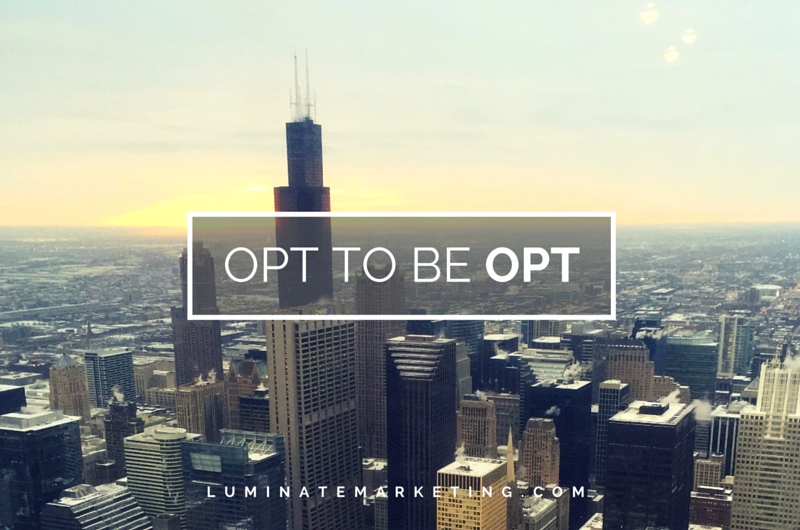 Opt-in with us? Luminate wants to see those grin-giving moments. If you live in Chicago, on the Red Line, are there people? (Answer: Yes). People watch (without being creepy). You never know what dance move you’ll see someone breaking down to. That little foam-flower on top of your latte? Give it a wink and a thanks. It’s adorable and you know it. Find a penny on tails? Abraham’s just kissing the pavement, and you should pick him up and hold him tightly! Snap a Snapchat with Abe. Hit that snooze button only once? Record the win and thank God for it! We know it’s rare. Did Chipotle give you an extra heaping amount of guacamole? High-five the cashier and thank that kind man. Has a coworker asked how your day is going? Tell her she just made it better. I mean, who doesn’t appreciate being asked that? And the list could go on, as we hope it does!